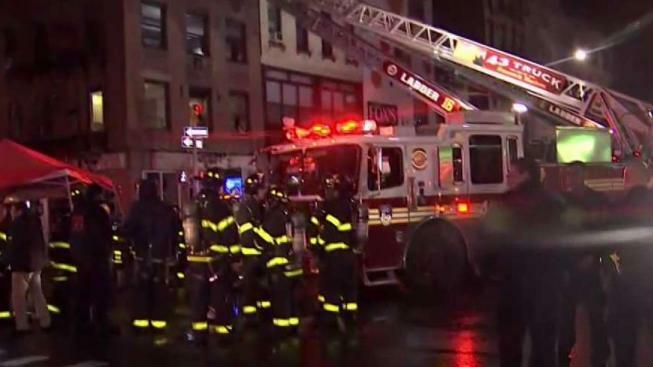 A large fire has broken out in a building housing a restaurant and apartments on the Upper East Side, fire officials say. The FDNY said it got the call to 200 East 85th St. shortly after 9:30 p.m. Firefighters were battling flames and smoke on the first to third floors.